It started with a bottle of Perfection Lumiére foundation, and then spiraled into a full-on Chanel frenzy. I don’t even know what happened. It’s like I blacked out for a while and woke up with a bunch of amazing makeup. I blame it in part on the amazing ladies that work the counters near me – I don’t know if all Chanel counters are like this, but Diane at the Belk Crabtree Chanel counter and Mary at the Southpoint Nordstrom Chanel counter are possibly the most knowledgeable SA’s I’ve ever met. Thanks to them, I’m cash poor and Chanel rich until next payday, and I couldn’t be happier. Among my recent spoils is a shining gem that’s made getting out of bed for work in the morning just a little less dreadful, and that gem is Le Blush Créme de Chanel in Révélation ($38). 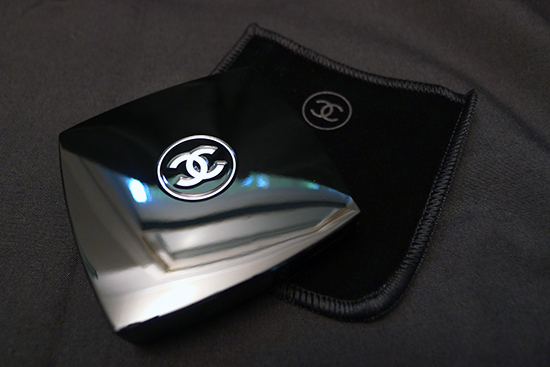 I love the black velvet pouch that comes with Chanel makeup items, even if it is a lint magnet. Le Blush Créme de Chanel is a collection of six cream-to-powder blushes that are part of Chanel’s Fall 2013 Color Collection. All the colors are gorgeous. There was a part of me that very much wanted to hold my purse open while I pushed the whole display into my bag with a swoop of my arm. Alas, I’m a boring adult with at least a vague sense of financial responsibility, so I reeled it in and limited myself to only one. I chose Révélation, a warm, bright, medium pink. Although the Superstition Collection is limited edition, the rumor is that some of these blushes will be added to the permanent collection, and that Révélation is one of those colors. This product does not contain any fragrance, which is good news for those who are sensitive. It does contain talc, so if you’re one of the unlucky few who are allergic to this ingredient, you’ll want to pass on this beauty. Running the list through COSDNA shows only one other potential irritant/acne trigger, Tocopherol, which rates a 2 out of 5 for both. Tocopherol, for what it’s worth, is actually just Vitamin E, an antioxidant and anti-inflammatory ingredient that’s often used in skincare products because of its wound healing properties. There isn’t enough Tocopherol in this formula to make anyone young again, but it’s also likely not enough to cause problems for those who are sensitive to Vitamin E.
The thing that makes this blush so special is that it starts out as a cream in the pan, and then quickly transforms into an extremely blendable powder on the skin. The color can be as sheer or opaque as I need it to be – it’s extremely easy to work with and very easy to build color. 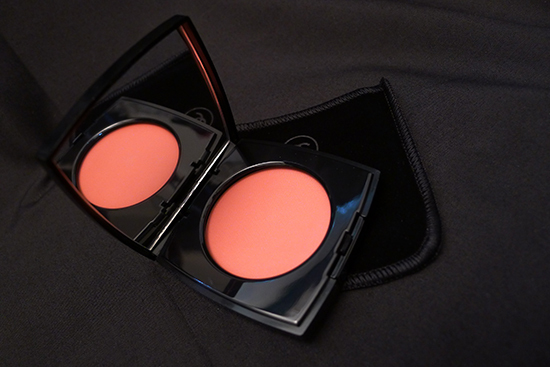 One of the perks of blush’s versatility is that it would work well with any skin tone, no matter how fair or dark. The finish is said to be satin, but I find it to wear very matte, since there is really no sparkle to speak of. I prefer it that way, since I like to add my sparkle separately when that’s the look I’m going for. I’ve tried applying with fingers and with a duo-fibre brush (Sigma F50), and though they both do an excellent job, I prefer to blend this blush with my fingers. 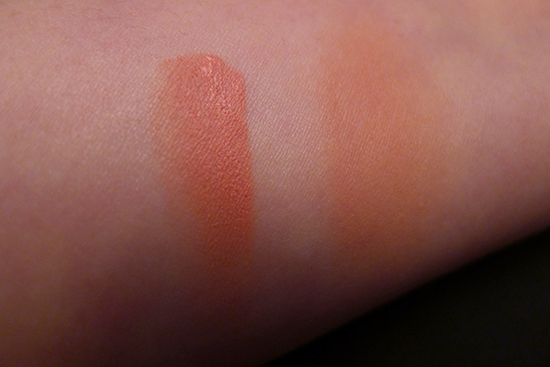 The lasting power on this blush is pretty stellar – I get about 8 hours of wear before I start to see any fading. However, once the fading begins, it disappears pretty quickly. 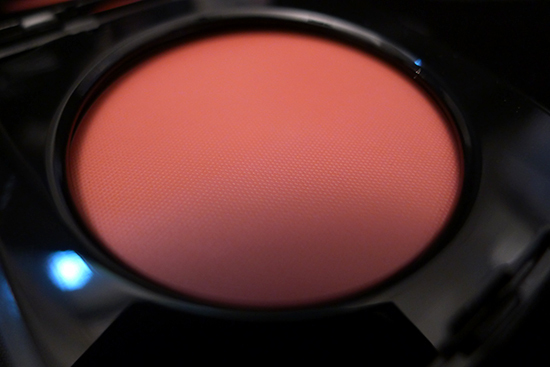 This is certainly the most expensive blush I’ve ever purchased – and actually, blush is one of those items I’ve always felt it unnecessary to splurge on, since there are so many drug store blushes that do the job beautifully. But this blush – it’s special. It’s precious. It was worth every cent, and I am 100% positive it is just the first of many Blush Créme de Chanel colors I’ll be adding to my collection. I purchased my Le Blush Créme de Chanel in store Belk. It’s sadly not available on the Belk website, buy you can pick it up online from Nordstrom, Neiman Marcus, or the official Chanel website. The products that make the biggest difference for me in terms of blackheads and pore appearance are oil cleansers (mineral oil as an ingredient is very good for dislodging blackheads over time), Retin-A (Tretinoin .025%, to be exact), and a gentle BHA (~.5% – more than that irritates my skin). Oh no! I’m a reluctant Chanel fan (relucant because of the price. And I prefer a bit of quantity over quality.) I shouldn’t have read this post. I shouldn’t have..
Tellie, I totally get the reluctant fan sentiment! It really is expensive. 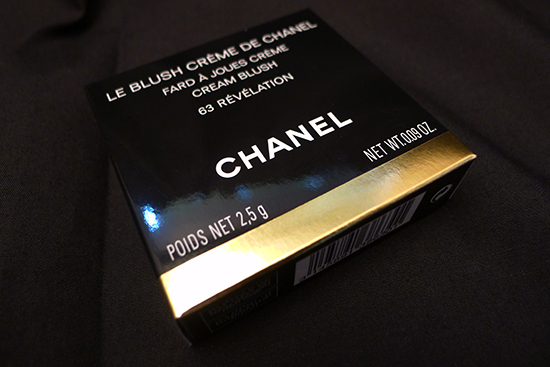 That said, I am finding that Chanel products go a long way, and there is often a lot of product packed into those little packages. For some ladies, Chanel will be more money spent up front but less money spent over time. For ladies like me (and you, I’m guessing), it makes no difference since we’re collectors – it’s just an expensive new habit! Aw, Arielle! That’s such a bummer! Related story: I was recently lamenting the lack of Kevyn Aucoin counters in my area. I ended up calling Barney’s in NYC and talked to an SA for the Aucoin counter there. He was super awesome and even matched me over the phone (we’ll see how close he got when my stuff arrives). Anyway, the point of my story is – if you’re ever in the mood to buy/talk about Chanel, I bet you could just call a counter somewhere and they would love to oblige! It’s not quite the same as going in person, but if you find the right SA, it’s still pretty fun! I love chanel, i’ll never change my foundations for other brands x.x … just worth the money! They really do make a great foundation! What’s your favorite one? Everything about this blush screams money. I have yet to splurge on Chanel, but girl…you are making it tough. I have to say, it really only takes one Chanel product to feel like a million bucks. That color looks lovely on you!!! I’ve yet to try out a Chanel Blush, but nevertheless, it looks wonderful on you! Thank you so much! 🙂 If you do wind up trying a Chanel blush, I highly recommend the cream formula!